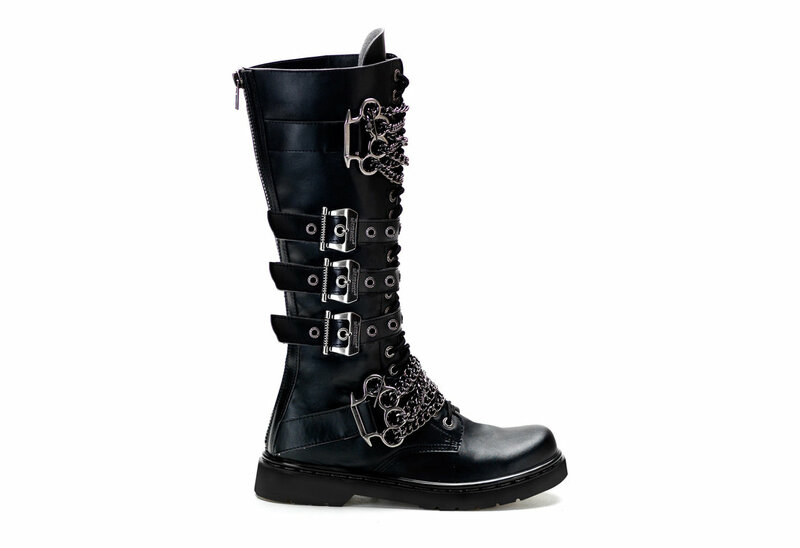 The Defiant-402 is a Black Pu 20 eyelet knee high buckle boot with attitude. 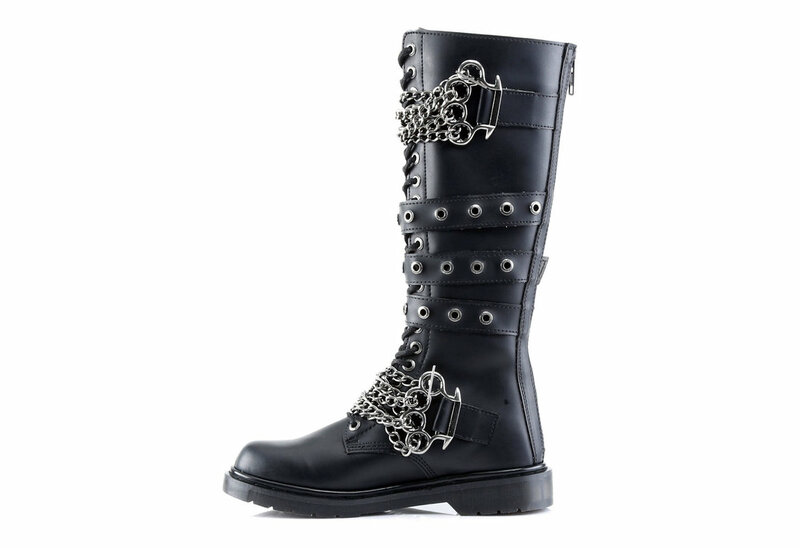 The front of these bad boys have triple buckle straps with metal knuckle chains on the top and bottom of the boot. Lace them up to get the fit just right then unzip from the back to take them off. They will stay perfectly laced for you the next time you put them on. 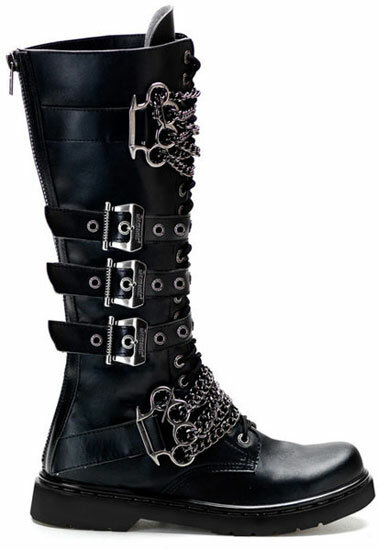 I absolutely love these boots!! Even though I’m a girl I still bought them lol!! I used the size conversion chart and they fit my feet exactly and comfortably!! I’m a size 9 so I had to get a men’s 7 and I have had no problem with them!! 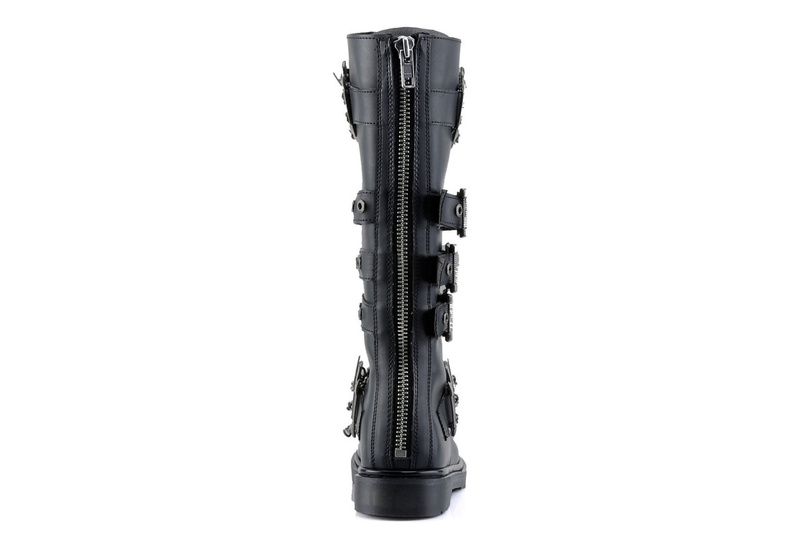 They are definitely different and unique and you can wear them with just about everything!! I get so many compliments on them and questions like where did I get them and I just say “Rivethead.com-get you a pair” lol!! So I’m loving them and will continue to shop here at Riverhead!! Thanks a bunch for letting me share my review😀! !